We know that times are hard at the moment for many people and even if they aren’t, there’s probably more to spend your money on than your windows. It is easy to overlook the quality and condition of your windows but in the long run, the true cost of not repairing your windows can add up to a large amount. 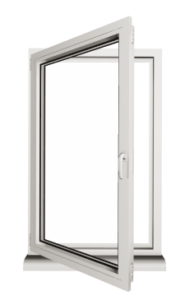 In an ideal world, if your windows have been installed or fitted by a professional company with experience, you’ll find that they should last for about 30 or so years. This means if you do it right once, you should have great windows for the lifetime of your home but of course, there is also a lot to be said for doing your bit to maintain the windows. Whether you carry out repairs yourself or keep a close eye on the condition and then call on the experts to undertake the job is up to you, but it is vital that you realise the importance of maintaining your windows. Some issue may seem like small matters but big problems can evolve from small matters. You may not think that a small crack or gap in your sealant is an issue but this can result in moisture getting into the cavity and before you know it, there is dampness in your home, possibly leading to mildew and mould occurring and your window frame is at risk of being damaged. There is also the fact that if you have gaps and cracks in your window, you’ll find it harder to heat your home, and this costs you money. This is where the true cost of not keeping your windows in good condition comes into play. If the money you save isn’t enough to match the money you are throwing away on energy bills every single month, you haven’t made a saving, you are making a loss. We all know that energy suppliers aren’t in a rush to give out good deals or help people spend less money and it is likely that the cost of their energy will continue to rise, so be proactive and make sure that your windows are in good condition. If you have concerns about the condition of your windows or you want a helping hand to make sure you feel confident about your home, we are the window repair company in central Scotland you can trust. At Local Window Care and Repair, we will always try and repair your window before we consider replacing the window. This means you get value for money services with great results, and we will always provide a free quote with no obligation to buy, before we carry out any work. Given that it is autumn, and winter is coming, it is only natural that you will focus more on your windows than you would in spring and summer. However, keeping your windows in good condition provides you with long term benefits and no matter the time of year, Local Window Care and Repair is on hand to help you enjoy a happy home. Give us a call on 0141 447 0115 or visit our contact us page to see how you can get in touch with us. Be the first to comment on "The Cost Of Not Repairing Your Windows"